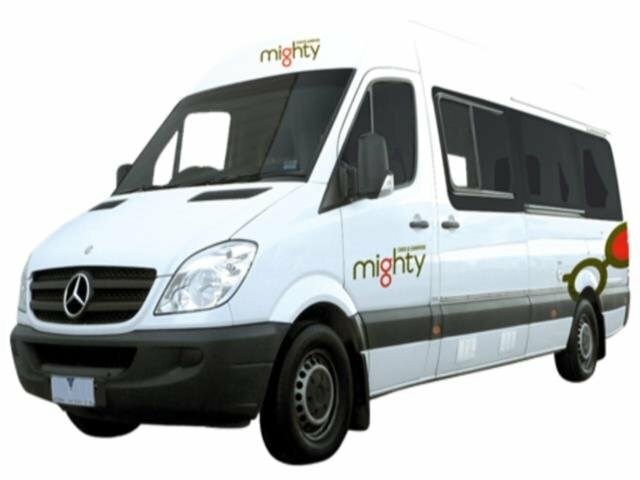 The perfect camper for 2 adults and 1 child has just landed with Mighty. 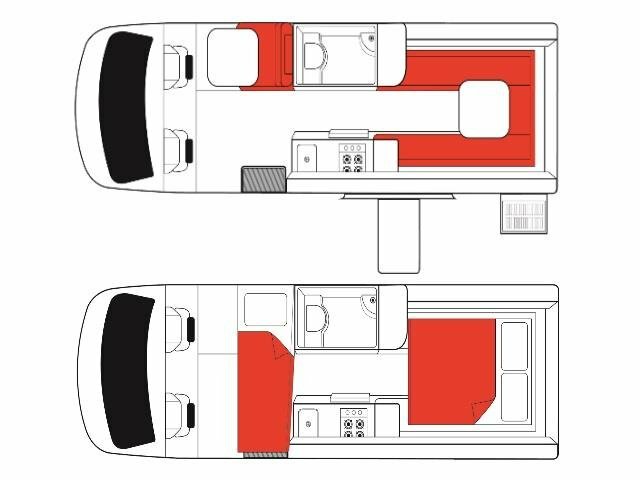 A double bed at the back and a single at the front make for a comfy night's sleep for a small family. Add the bonus of a shower and toilet and you've got the perfect getaway vehicle! Child Seats : This vehicle has positioning for a total of one child restraint. Water Tank : It is recommended to fill this tank daily. Waste Water Tank : Holding tank for grey waste water generated from the shower and the kitchen sink. Disposable at camping grounds and dump sites. Power Supply : 12V battery and 240V mains power / solar power. The vehicle is supplied with a 10m mains power cable for use at campgrounds. One 12V battery for the running of the domestic system and a seperate one for the engine. Batteries charge from the engine or when plugged in at camping ground.